Scottish dance collective Project X (UK) and Thulani Rachia (UK/South Africa) pres- ent Chronicles. Working with young people from Edinburgh, they have co-created a new piece of dance theatre performance. 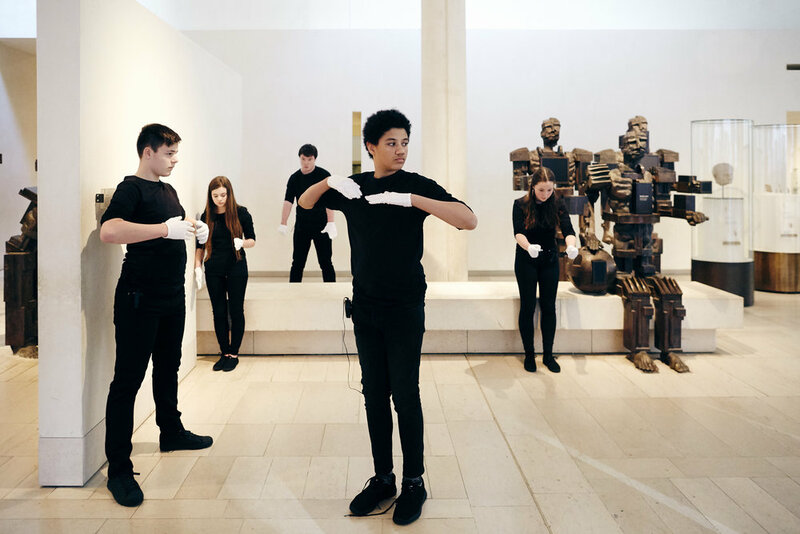 This alternative audio guide and immersive performance uncovers hidden and (re)imagined histories as the audience promenade through the Scottish Galleries of the National Museum of Scotland. Chronicles is part of National Theatre of Scotland’s Futureproof festival marking Scot- land’s Year of Young People in 2018. A major radical new festival of international per- forming arts, created by young people working alongside renowned Scottish, British and international theatre practitioners.